This twist on the humble, tax-efficient biscuit we all know and love is inspired by a young chap named Thomas, whose dedication to Jaffa Cakes not only made me smile but also prompted me to go to the trouble of testing multiple batters and toppings. Next, make your batter. Don’t get precious with sieves and things, just toss the flour in first and everything else on top and then smack it about a bit with a whisk until it is smooth and thick. To cook it, melt a small amount of butter (my preference) or oil (not olive or sesame or anything with a strong flavour) in a frying pan on a high heat, and then when it is melted turn the heat down to low and pour in two dessert spoons of batter. These are American style pancakes, not crepes, so it will be small, round and fluffy. Once it starts to fluff up, you can turn it over with a spatula (no flipping for these little babies). 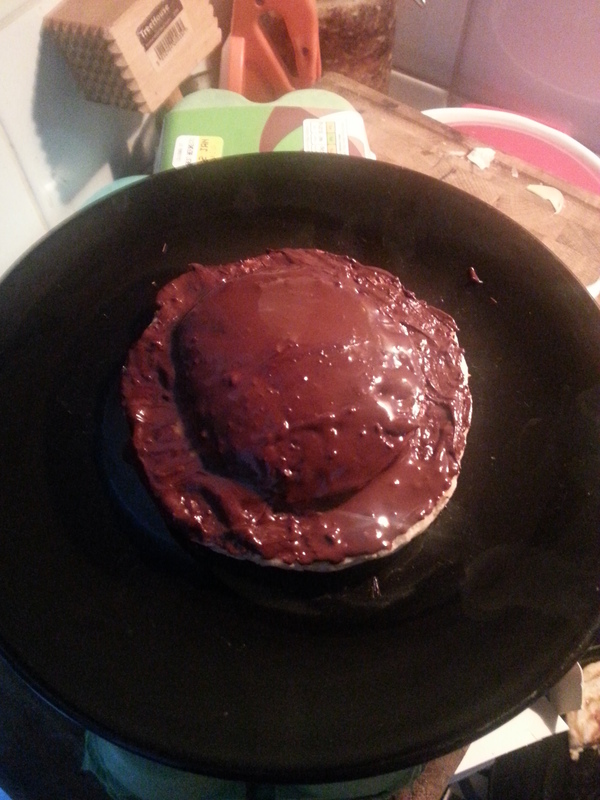 While you’re cooking your pancakes, you also need to melt your chocolate. 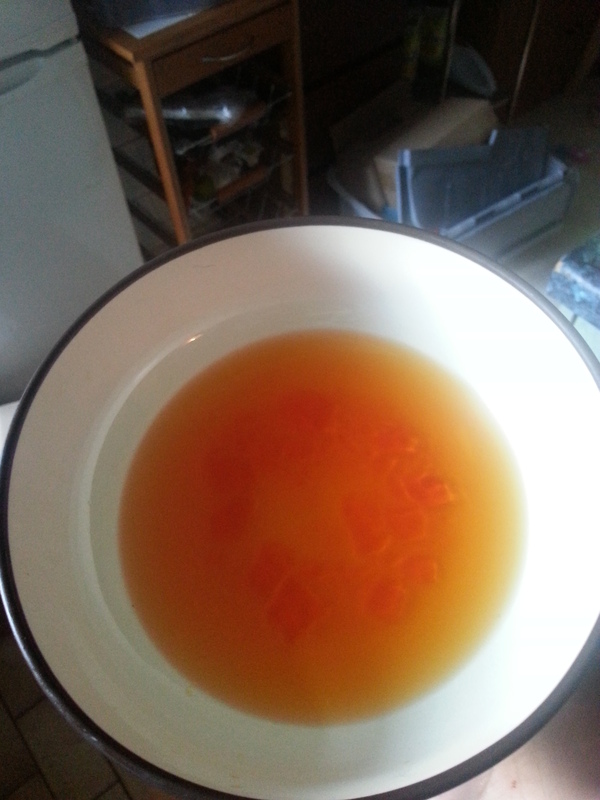 Break it into pieces and put into the microwave in a suitable bowl for 1 minute, then stir. If there are still lumps put it back in the microwave for 15 seconds. 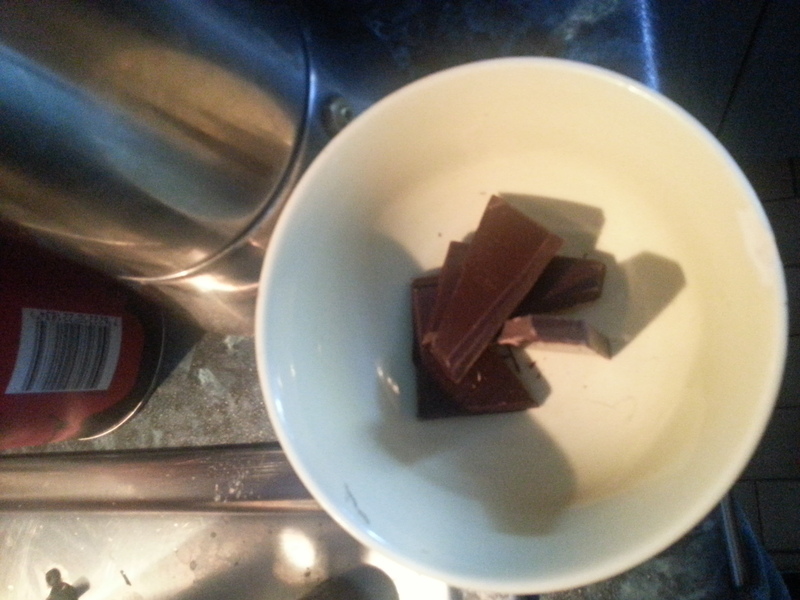 Keep repeating this step until the chocolate is smooth and glossy. 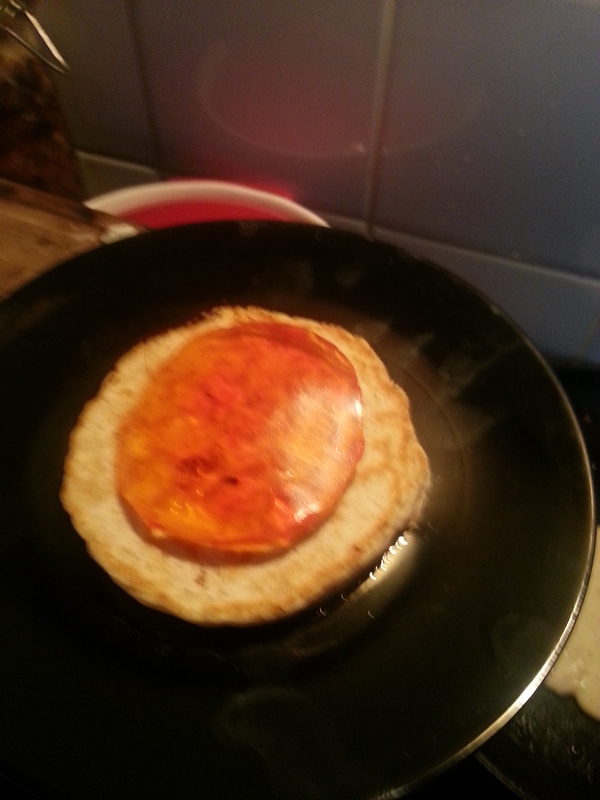 Once your pancakes are ready, it is time to return to your jelly! Using a cup or glass, press circles into the surface of the jelly (one for each pancake) and then cut around it with a knife. Using a spatula or palette knife, carefully lift the circles out and place each one on a pancake. If you have great willpower, you can wait until the chocolate sets to eat your pancake, otherwise, make sure you have a napkin handy for all the chocolate that will inevitably get onto your face as you gobble! Finally, if you are in a hurry, just add the juice and zest of half an orange, a handful of dark chocolate chips and orange jelly chopped into pieces straight from the packet to your batter and fry it up. It’s not quite as good as the version above, but it hits the orangey-chocolatey spot.